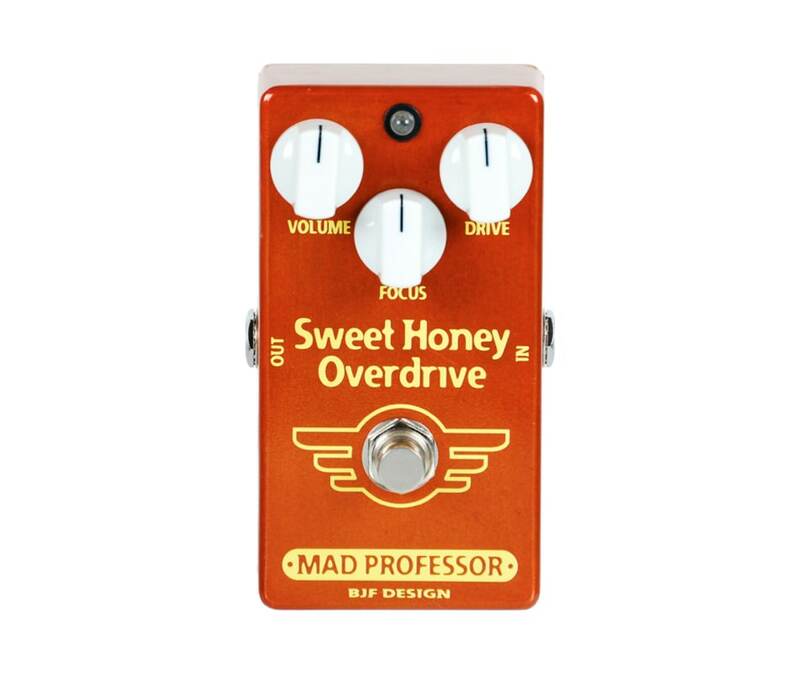 Mad Professor Sweet Honey Overdrive (SHOD) is a touch sensitive low gain overdrive pedal hand made in Finland. It is designed to overdrive distorted amplifiers and give dynamically controlled light overdrive on clean sounds. Distortion level can be controlled by pick attack and pickup strength. Harder picking for overdrive and softer for cleaner tone.